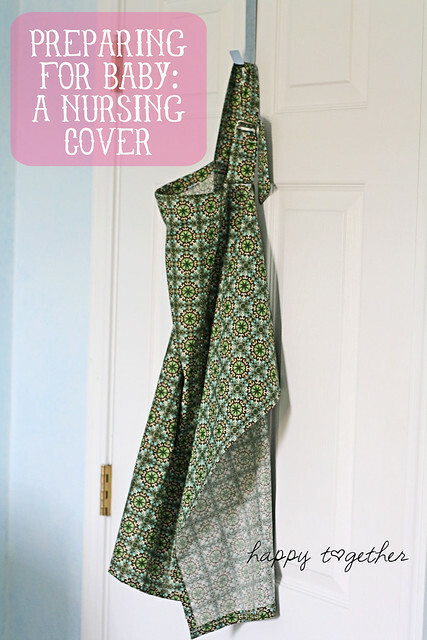 This isn’t a nursery thing and it’s also more for me than the baby 🙂 I found this really great nursing cover tutorial over at Diary of a Quilter and whipped it up in about 30 minutes. That’s with me being super slow and all too. One of the main things I like about it is how she incorporates boning at the top to create a cup so air can get in under there and you can see the baby. It seems just the right amount too, not gaping too far out or too close in. 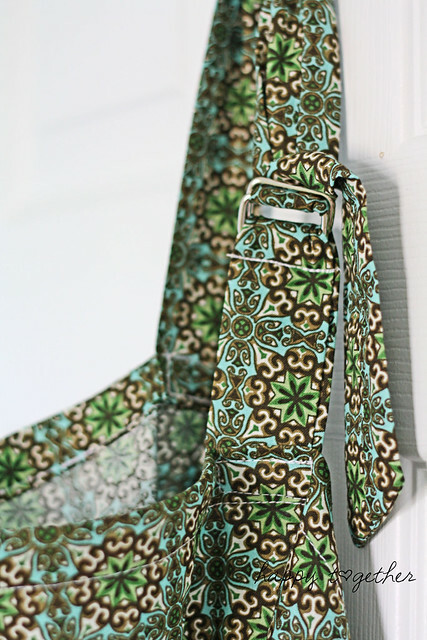 There is an adjustable strap so it can be lengthened or shortened depending on the mom. I made mine with a not so bright print so it doesn’t stick out. I’m a private person so the last thing I want is to draw extra attention to myself while nursing. I found some really other great tutorials for various “nursing” things that I plan on trying if I have the time. Making a shirt into a nursing shirt. It’s a really neat trick! And looks cute too. 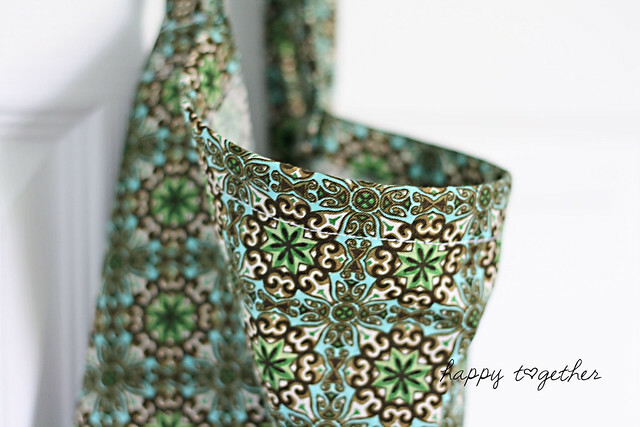 This has to be one of the prettiest nursing top ever! Love the ruffles. I used one of these when I nursed my last baby. They are wonderful! I’m thrilled to see that you’ll be nursing your little one! I’m also super jealous of your sewing skills. I never had any nursing shirts and I sure would love to have the skills to make one myself!